Patrick Phillips, last seen in Xavier University’s regional premiere of FROM WHITE PLAINS, will star as Princeton in AVENUE Q opening this Thursday. He graciously sat down and answered a few questions. Hi Patrick! Let’s get started with you telling us about your background in theatre. I did theater throughout high school just as a hobby. Though I went to St. Xavier High School, Mother of Mercy was only ten minutes from my house, so I did shows there. However, I was really caught up in theater when I was cast in Tim Perrino’s production of Over the Tavern with Cincinnati Landmark Productions (CLP). I continued to do shows with CLP and Cincinnati Young People’s Theatre and really fell in love with the art. Since coming to Xavier University, I’ve been pushed by our Director of Theatre Stephen Skiles and all of the professional directors, designers and professors he has brought in. With each show I’ve done since my freshman year, I feel that I have been tested to push the boundaries of my abilities and have grown to appreciate the art as a whole. Though XU’s Theatre major is fresh, it’s intense and satisfying. You’ve had a diverse range of roles thus far in your young career. What have been some of your favorites? 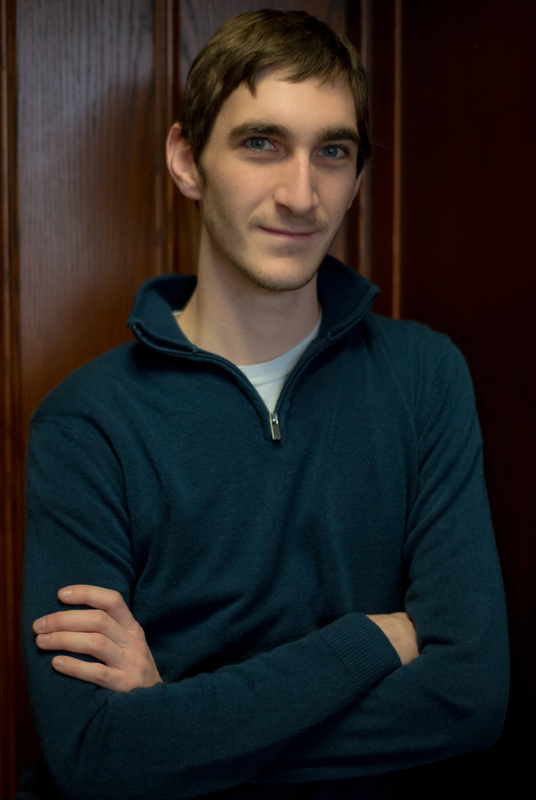 As of right now, my favorite role has to be playing Gregory in the regional premiere of Michael Perlman’s From White Plains this past February with XU. The entire show was student-designed and was directed by Craig Wesley Divino, a member of the original Off-Broadway cast. This past fall, I played Reverend Hale in a co-production of The Crucible between XU and the Cincinnati Shakespeare Company. Hale has a very dense, difficult position in the play, and telling his story alongside some of the best talent in Cincinnati was an incredible learning experience. Also at the top of my list is Samuel in The Pirates of Penzance. I blacked out one of my teeth and dirtied my face until I looked like a dog. I really got to let loose with Samuel and just have fun. Some of our readers may not be familiar with AVENUE Q. You play Princeton. Who is he? Princeton is a fresh-faced 22 year-old college graduate who wants to change the world. Unfortunately, he only has a B.A. in English and no real income. He doesn’t really know what he’s called to do and hopes to find his purpose in life on Avenue Q. Avenue Q is the Sesame Street for adults. The show runs a fine line of hilarious chaos and heartwarming realism. It pokes fun at almost every aspect of adult life, yet does so with heart and purpose. While the puppets may be cute and the songs may be wacky, the real-life story of Avenue Q is what makes it a great musical. Each character is looking for their mission in life, an idea that everyone, especially college students, can relate to. You use actual puppets in this show. What’s that been like? 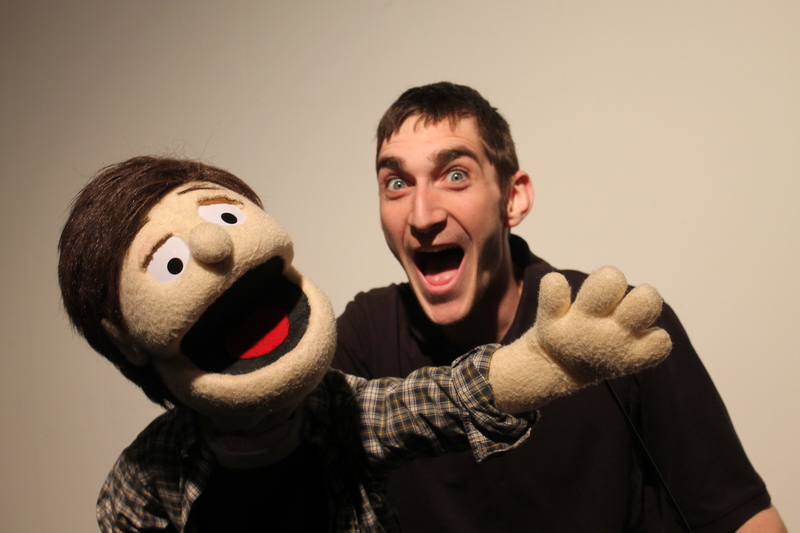 I love working with the puppets. We spent two weeks of rehearsal with Dylan Shelton of Madcap Puppets doing exercise and playing games to get used to working them. Every move you make, line you say and emotion you feel has to be represented in the puppet. The human performers also had to get used to delivering their lines to the puppets. John Rothan, who plays Brian, always tells me how weird it is to hug Princeton since he’s basically hugging my right arm. Needless to say, Avenue Q has been one of the most technically difficult shows I’ve ever been in. However, everyone in the cast has gotten really comfortable working with the puppets, allowing us to make some pretty hilarious choices that we hope audiences will appreciate. The one thing I’d tell audiences to anticipate is a heartfelt production. Yes, Avenue Q is incredibly hilarious and has some raunchy parts, but audiences should expect to be taken in by the very real story of each character. You’re graduating this spring and wrapping up at Xavier. What’s next for you? I’m happy and relieved to say that I do have something lined up after college, but unfortunately, I am not necessarily allowed to announce exactly what it is yet. Well, we’ll anxiously await the news and look forward to seeing you again soon. Thanks, Patrick! 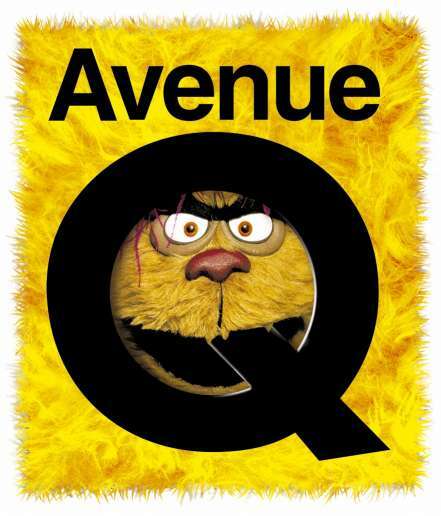 AVENUE Q opens April 4th and runs through April 12th at Xavier University’s Gallagher Student Center Theatre. Tickets are available here.